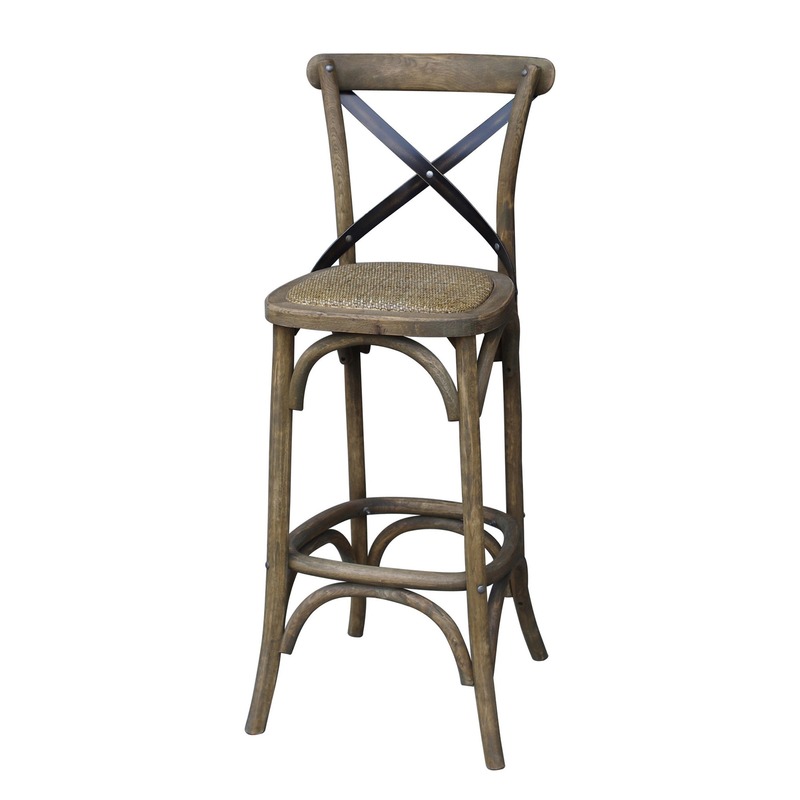 X Bar Stool, oak/iron - White x White - Antique and Fine Decor for the Home. 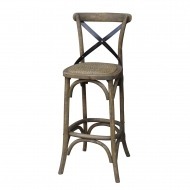 Sturdy bar stool made of solid oak. 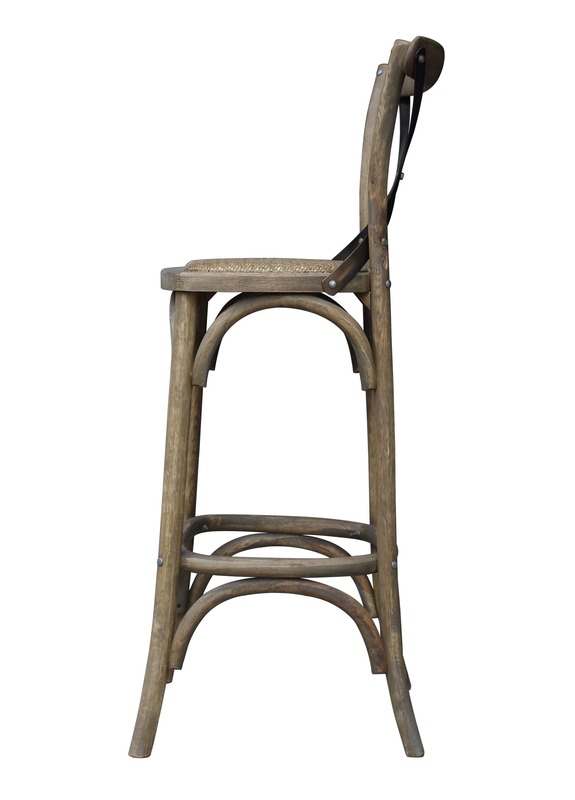 Use as is or may be waxed or painted (color may vary slightly from color shown). 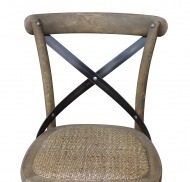 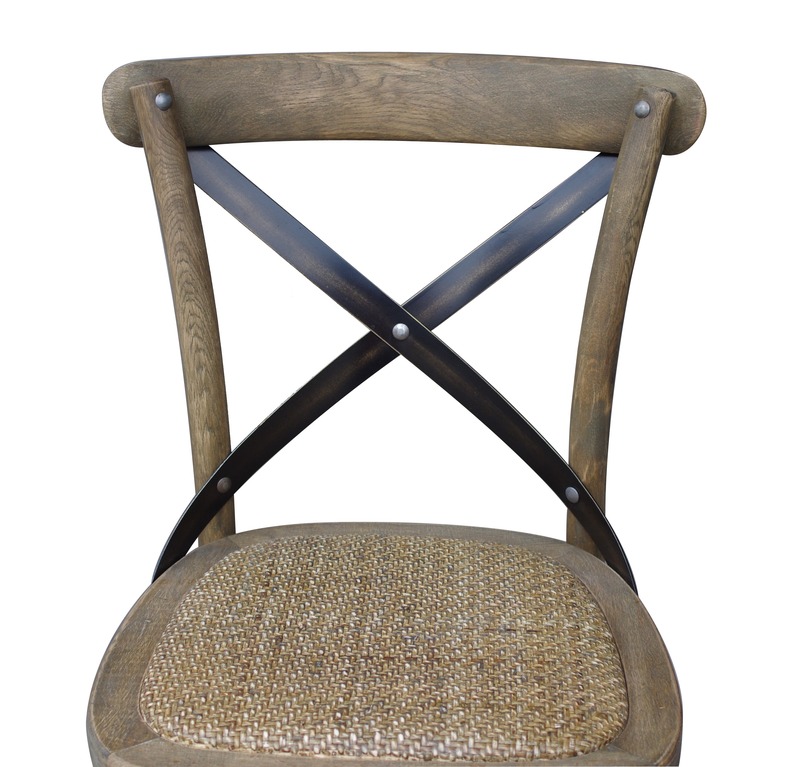 Comfortable padded woven rattan seat. 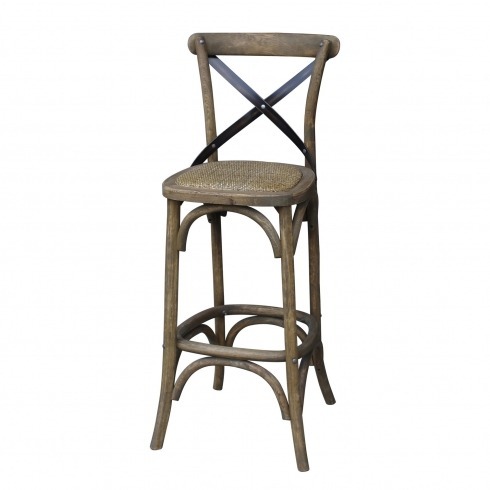 Distressed black metal "X" brace on the back of the stool. 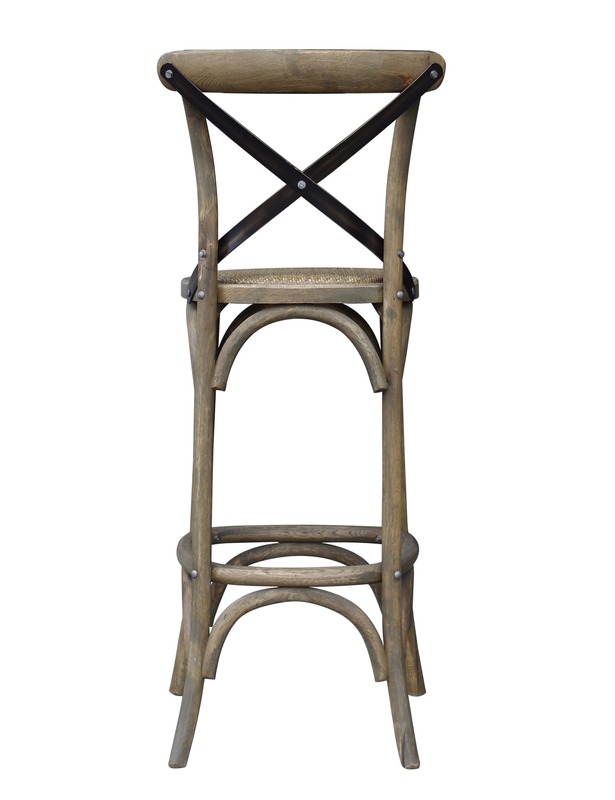 Must be ordered in multiples of 2.